A trip down memory lane. Clearly the demand for graduates of non-Canadian law schools has increased (and will likely continue) to increase dramatically. It would be interesting to hear the thoughts of those who are currently navigating the NCA process. Click here to see full sized version. 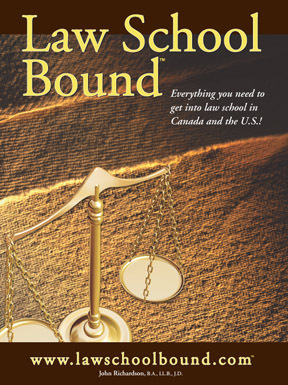 Lawyers trained abroad who want to practise in Canada must overcome many hurdles, not least of which is having their legal education and experience recognized by the Federation of Law Societies of Canada (FLSC). The National Committee on Accreditation (NCA) is the standing committee of the FLSC that is responsible for evaluating the credentials of foreign-trained lawyers and awarding certificates of qualification that permit the recipient to apply to write Bar admission exams in most provinces with the exception of Quebec, which has its own process. In Manitoba and the Maritime provinces, the NCA’s recommendations are considered on a less formal basis. This entry was posted in Foreign lawyers in Canada and tagged foreign lawyers Canada, NCA, NCA exam on June 23, 2017 by prelawforumcanada. This entry was posted in Uncategorized and tagged Dwight Newman, Law Society of British Columbia, Trinity Western law on August 26, 2015 by prelawforumcanada.